People data brings business intelligence alive with SmartHR’s reporting and analytical tools. 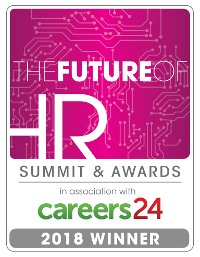 Comprehensive, real-time HR information – available in any document format, dynamic on-screen metrics, or device-ready dashboards – turns previously unseen data into a panoramic view of workforce performance. Now you can base business-critical decisions on hard facts instead of vague estimates. Set filters for any report criteria or data view to produce specific results. That means less searching through information and more taking action. reports, custom-built to your needs. Or you can extract SmartHR’s data into your reporting tool of choice. 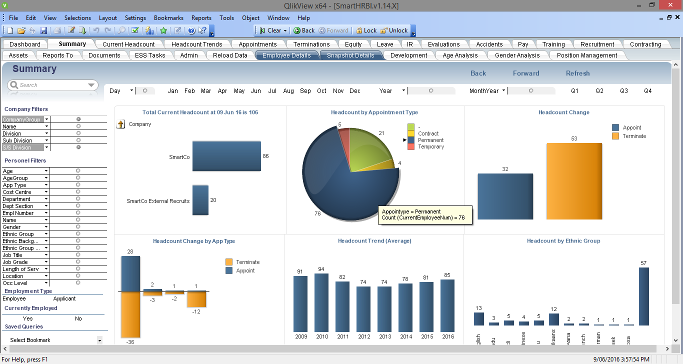 SmartHR Business Intelligence comes with Qlikview – a world-famous analytical modeller and data visualisation tool that gives dashboard and drill-down capability to executives, empowering them to understand their people data and reach fast, meaningful decisions. Smart HR is pre-loaded with the latest statutory reporting formats and parameters. Instantly compile and transmit compliance reports to government and regulatory bodies. You can schedule the reports you want to run automatically.